Good to have Scientific Researchers present on the docks. The annual shark tournament at Edisto Beach is transforming into something bigger than just a fishing adventure. 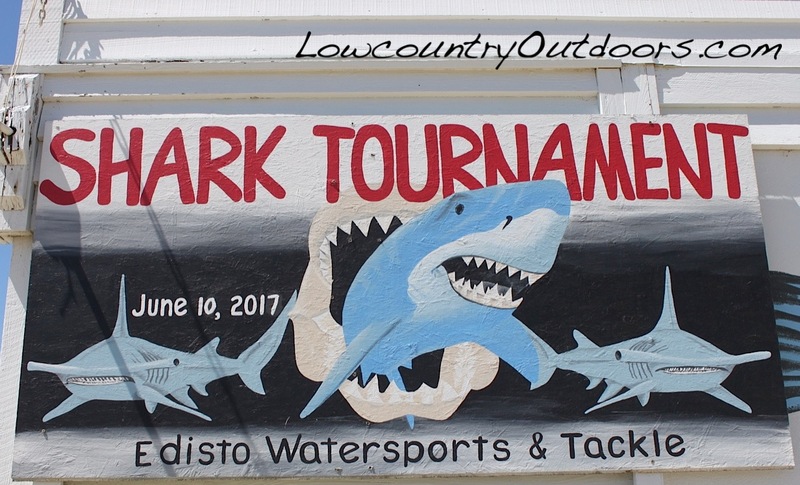 The 2017 contest marks the eighth year that Edisto Water Sports has hosted the weigh-in at their docks located at 3731 Docksite Road. It’s becoming clear that this annual event energizes neighboring businesses and the local economy too. At the end of the day it was longtime participant High Expectations and Captain Chris Cook that won the first place prize with a huge Tiger Shark that weighed a whopping 956-pounds. With 35 entries in the Shark Tourney, crews like High Expectations that come from out of town, stay for a week and rent a beach house too. The dock at Edisto Water Sports was jam packed with onlookers on Saturday June 10 during the entire weigh-in from 3:30 to 6:30, and t-shirt sales were brisk. 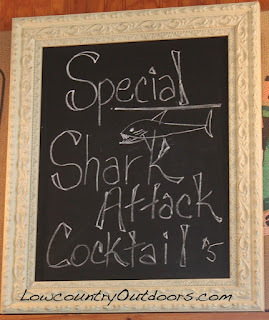 The Coffee Shop was selling festive blue margaritas dubbed ‘shark attack cocktails’ and the line to buy local shrimp at Edisto Seafood was nearly out the door. Residents from Wyndham rode bikes over to join in the festivities, and golf carts brought even more folks from all over Edisto beach. Another important aspect of the 2017 shark tourney is the presence of law enforcement and scientific researchers. SCDNR game wardens check on boat registrations and a federal officer checked on permits required for keeping certain species such as sharks. 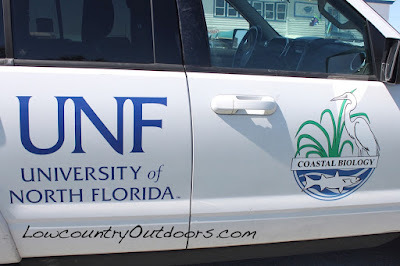 The University of North Florida sent Professor Jim Gelsleichter and graduate student Chelsea Shields to take blood samples from any harvested sharks, targeting Tiger sharks and Bull Sharks. 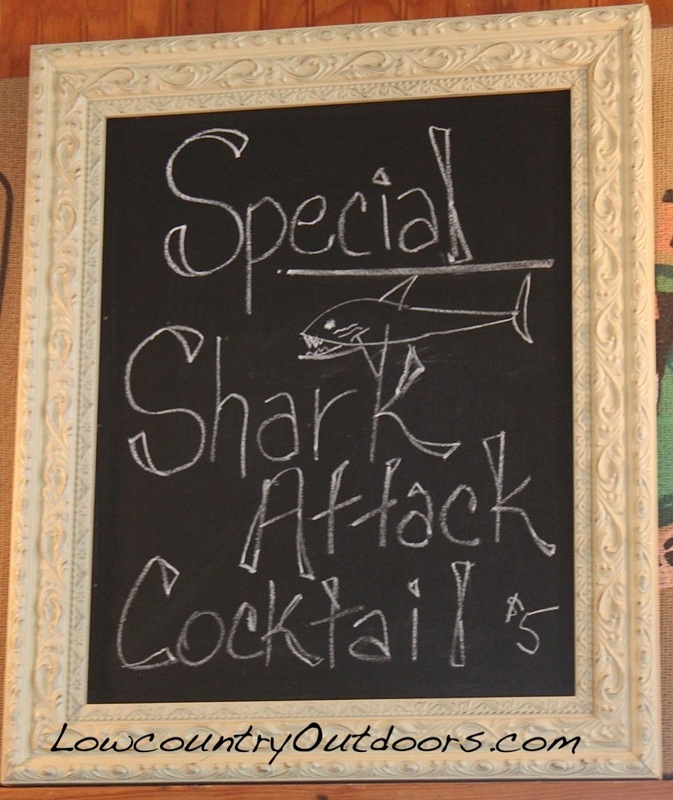 They also conduct ultrasound studies on sharks as part of their Coastal Biology Research program. To view the entire feature story in the newspaper click on Colletonian.